The Seven Keys to Effective Business Writing from Ray Sidney-Smith on Vimeo. We are well into 2012 with our programming designed to help your business thrive. As always, all of our events are FREE of charge! 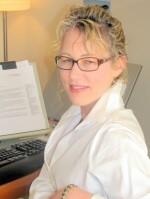 Tuesday, February 7, 2012: Brown Bag Lunch- “Every Word Matters” – Learn tips for better business writing. Held from noon – 1:00 PM in our boardroom at 625 N. Washington Street, Suite 400 and presented by Eliza Dolin, Ivy Quill Communications, LLC. REGISTER NOW! Thursday, February 9, 2012:Google to Great Webinar- “Marketing with Google Maps” (Google Maps)- This session runs from 10:15 to 11:15 AM. To register visit our website under the “Hot Topics” heading on the home page. Miss a webinar? Go to our archived resources page. Tuesday, February 14, 2012: START MANAGE GROW Workshop – “Federal Business Development for Service Providers” presented by John Boulware, Federal Contractor Consultant; the second in a mini-series on Federal Contracting. Are you a service provider that needs help with identifying government business? Come to our expanded and interactive series designed to help you win federal contracts! Held in our office at 625 N. Washington Street, Suite 400 from 9:00 -11:00 AM. REGISTER NOW! Thursday, February 23, 2012: Google to Great Webinar – “Being Business-Informed Using Google”(Google Reader, FastFlip & Currents). This session runs from 10:15 to 11:15 AM. To register visit our website under the “Hot Topics” heading on the home page. Miss a webinar? Go to our archived resources page. Wednesday, February 29, 2012: “Google+ for Small business” – in this workshop, you get the best of both worlds from Alexandria SBDC and Google. First, Ray Sidney-Smith, president of W3 Consulting, a Web and digital strategy firm for Small Business, will present a strategic overview of Google+ for small businesses. Following the presentation, Ray will hand over the microphone to Googlers who will walk you through the steps to launch your own Google+ pages for your business. The session will run from 9AM to Noon in our boardroom, located at 625 N. Washington Street, and a light breakfast will be included. To register, call Pat Melton, SBDC Counselor, 703-778-2960. Because we expect this to close out early, we ask if you register, to please attend or let us know if you cannot, so others can! – Mini-series on branding your business presented by Belmont, Inc. Ever stare at a blank screen and not be able to write about your business? Do you struggle when you are under a deadline to write that business report or marketing piece? You are not alone! Many business owners know what they want to write, but they just can’t get it right! Come to our February Brown-Bag Lunch event and hear an upbeat, educational presentation about why good writing matters to all businesses – particularly small ones! These days, clear communication — whether in website copy, emails, memos, or newsletters — is more important than ever in achieving your business success. Communications consultant Eliza Dolin of Ivy Quill Communications, LLC, will explain the reasons why, identify the causes of and cures for ineffective business writing, and offer tips that will help your business thrive. Join other small businesses at the monthly Brown-Bag lunch series of START, MANAGE, GROW your business sponsored by the Alexandria Small Business Development Center and the Alexandria Economic Development Partnership who are committed to helping small business thrive in Alexandria. Free of charge, and held monthly in our boardroom located at 625 N. Washington Street, Suite 400 from noon until 1PM, business owners are invited to bring their lunch, network and learn nuggets of knowledge from experts. A Q & A session will follow each presentation and we’ll get you back to your business promptly @ 1PM!